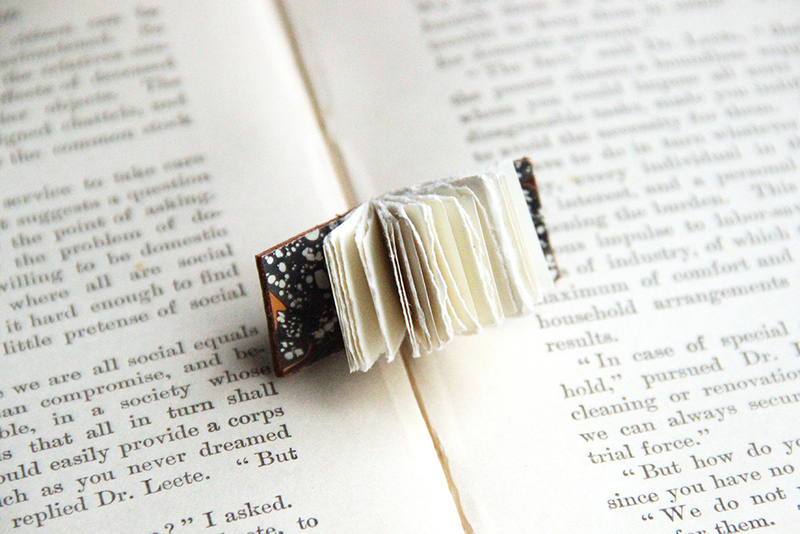 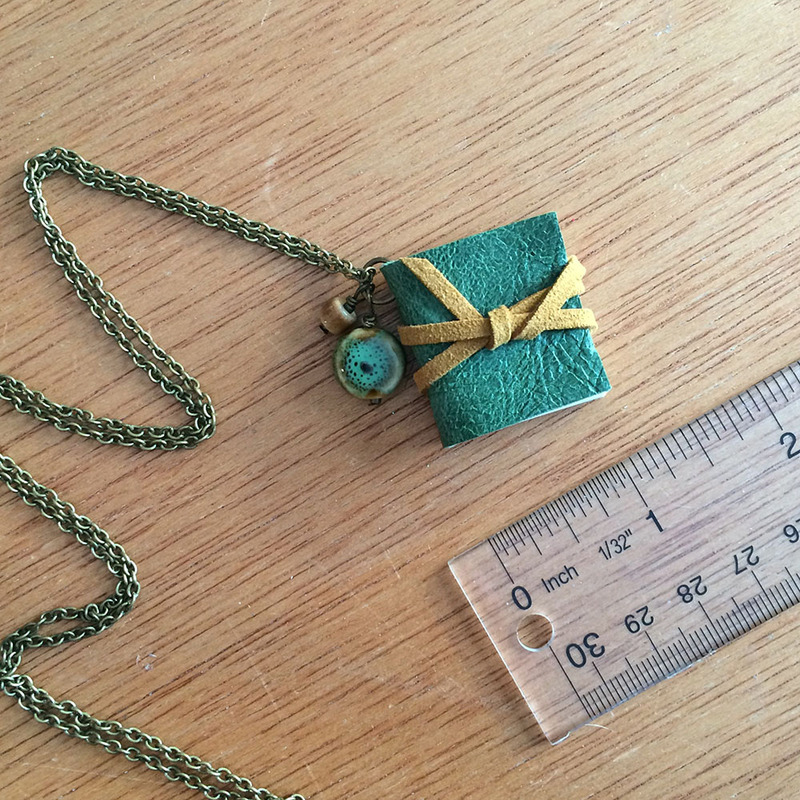 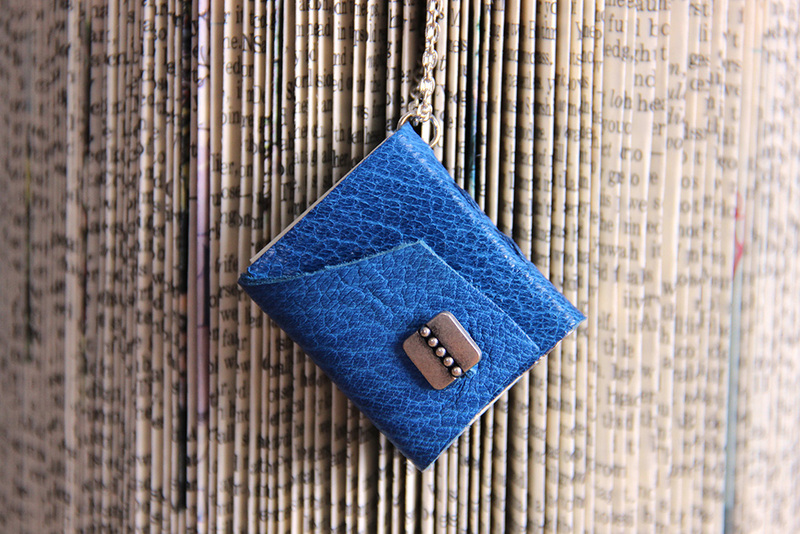 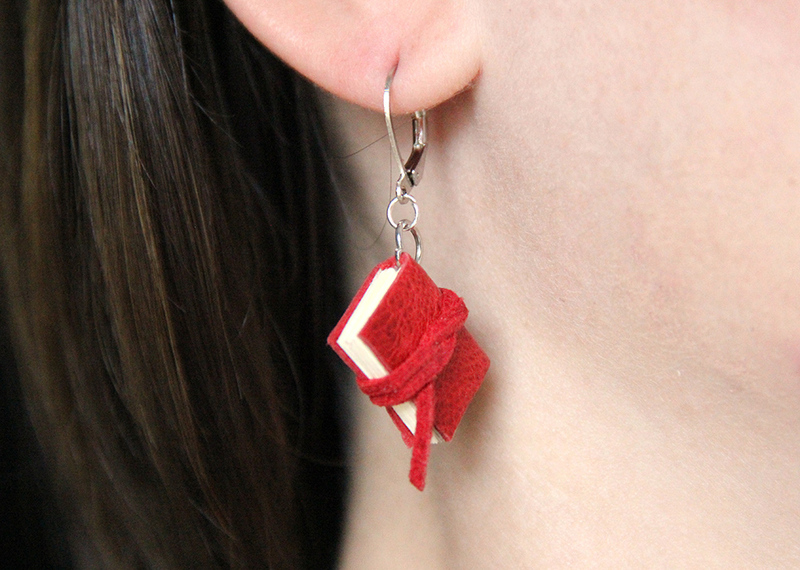 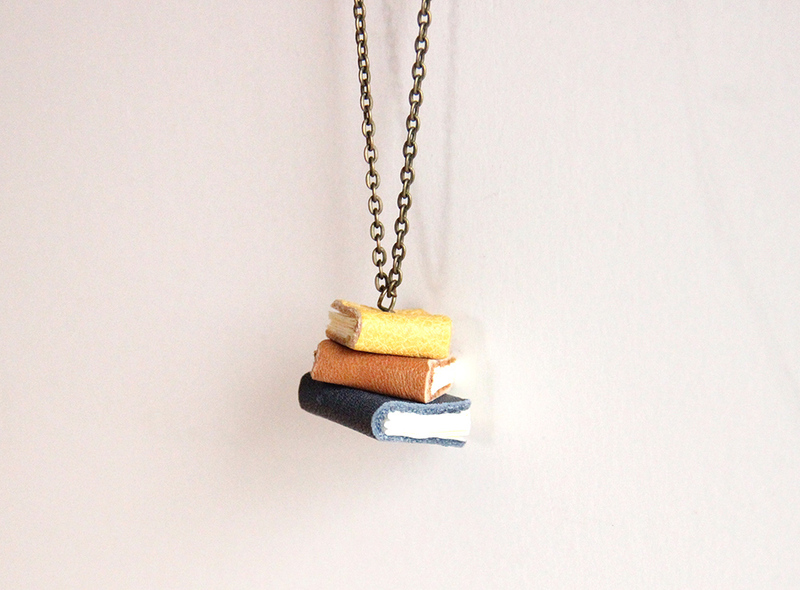 Show off your literary style with handmade miniature book jewelry. 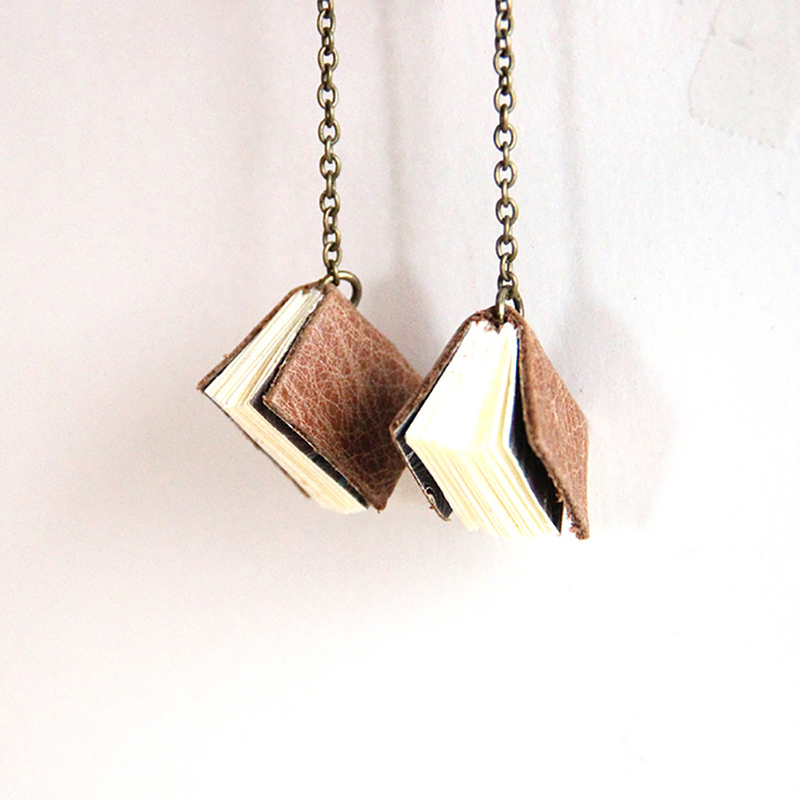 Made with upcycled leather and paper off cuts, my miniature books reuse materials one would normally throw away. 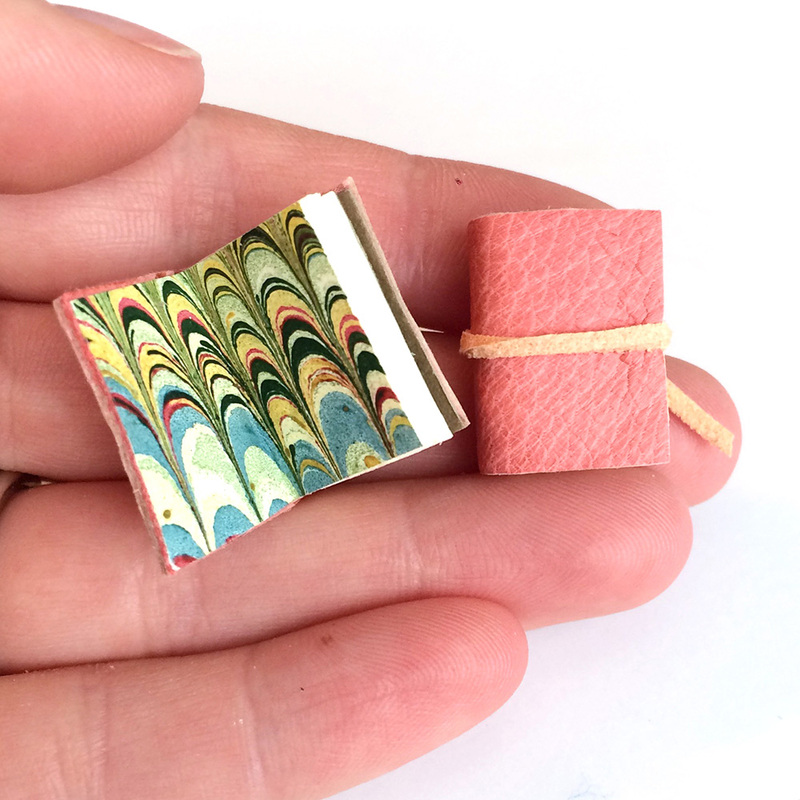 All miniature books include 30 blank sheets of paper and a marbled paper end sheet. 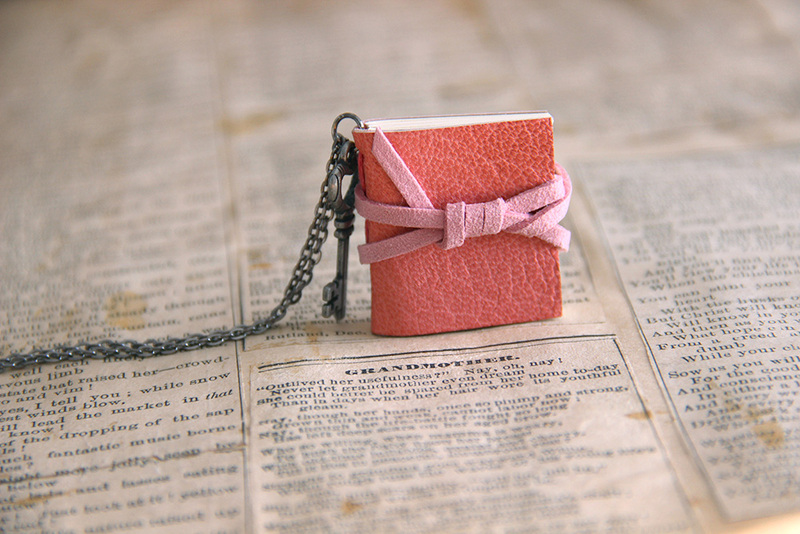 My hope is that every book I create ends up filled with memories and stories, making them a true keepsake. 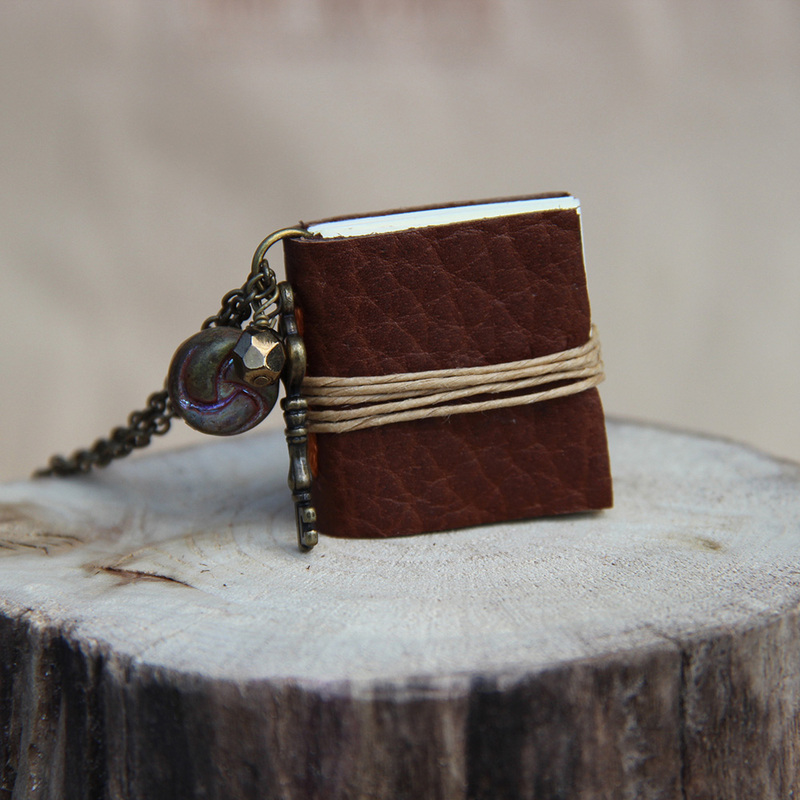 Give with blank pages or fill it with your own handwritten messages of encouragement, short poems, quotes, or special memories. 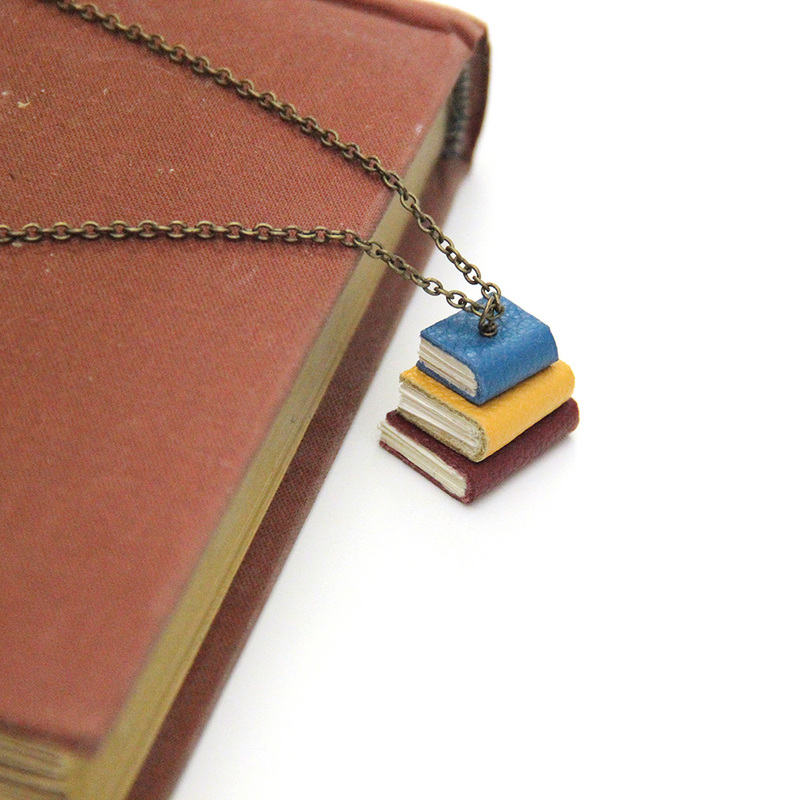 My miniature books are meant to be meaningful jewelry pieces that become as treasured as the woman wearing it. 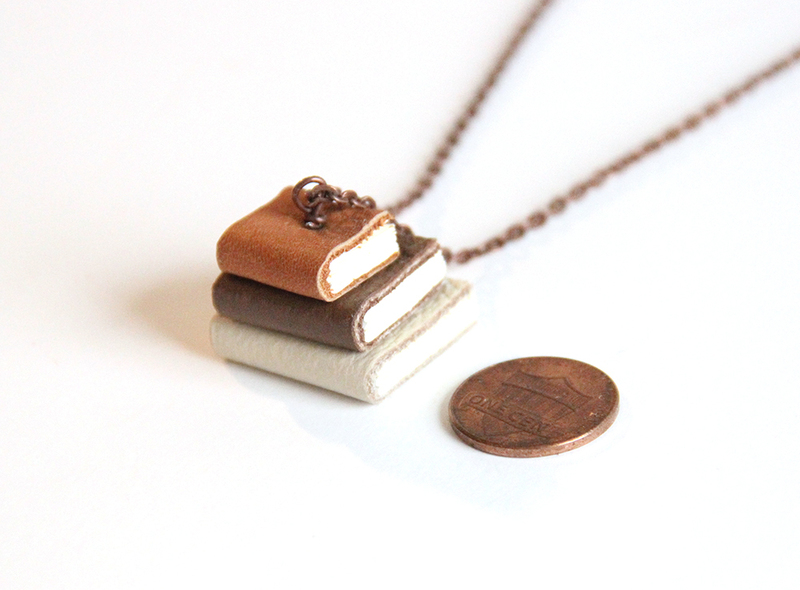 Miniature hand bound books incorporated into one of a kind necklaces. 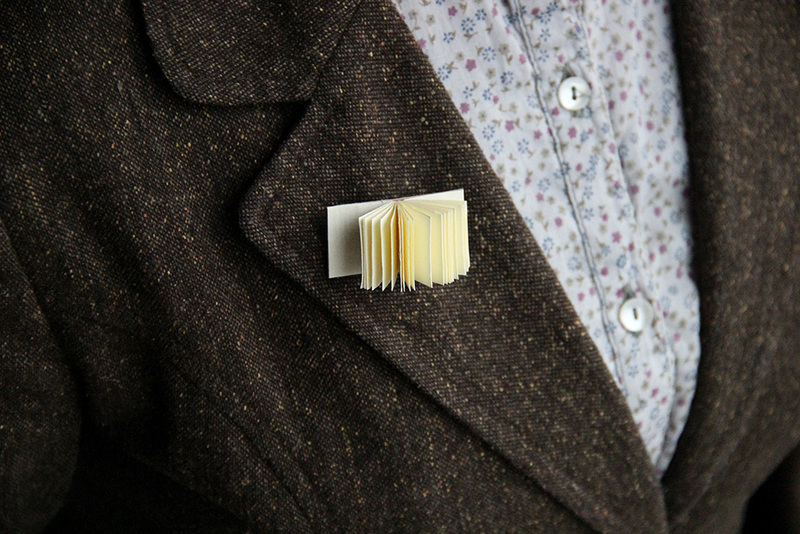 Miniature books are made from leather and paper scraps and include 30 sheets of blank paper and a marbled paper end sheet. 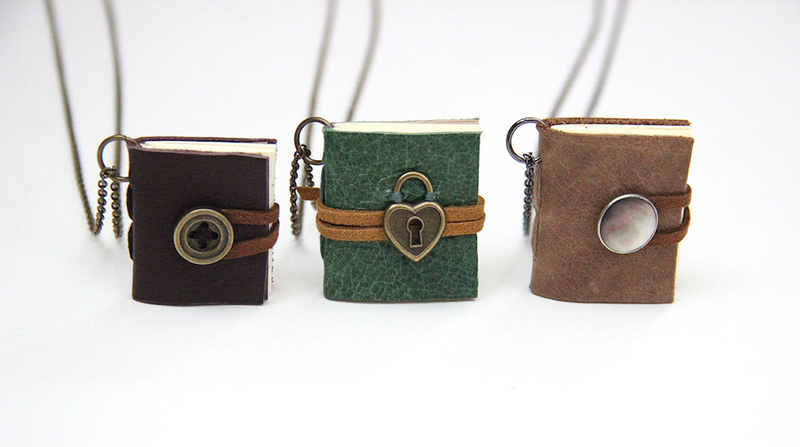 Each book is different and unique, varying in size, leathers, and bead/button charms. 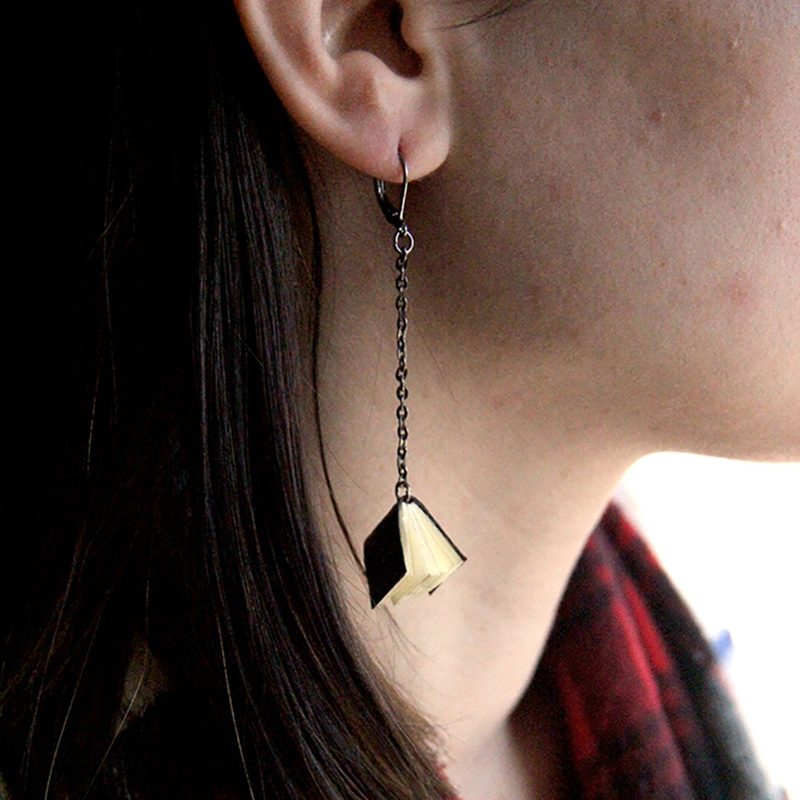 Long chain (30″) or short chain (16″) available, in silver, gunmetal, bronze, or copper. 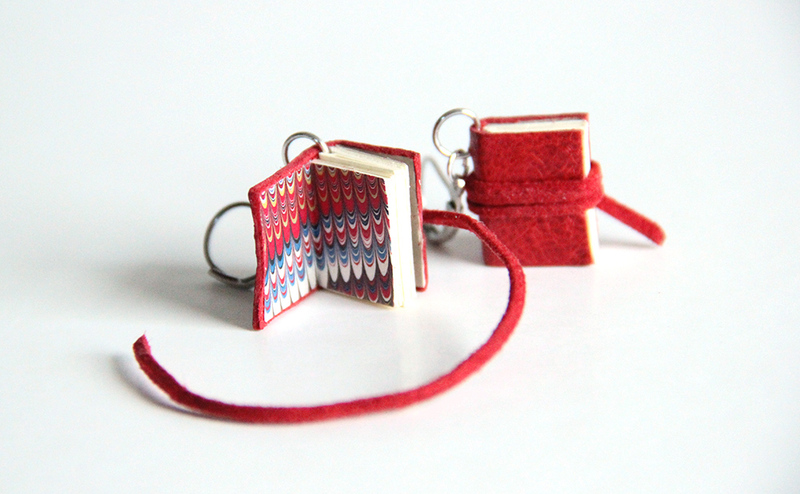 A pair of teeny tiny books! 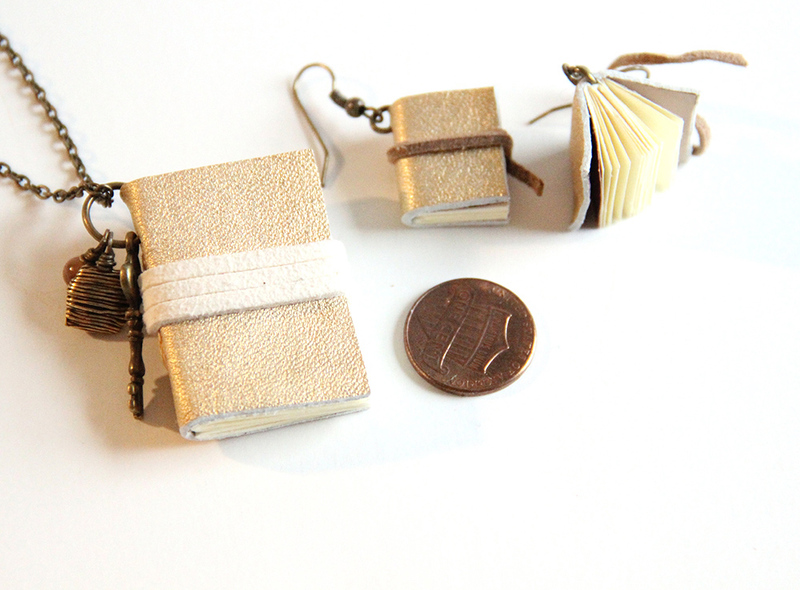 At about the size of a fingernail, they are created from even smaller leather and paper scraps and hang from plated iron leverback hooks (nickel and lead-free) available in silver, gunmetal, bronze or copper. 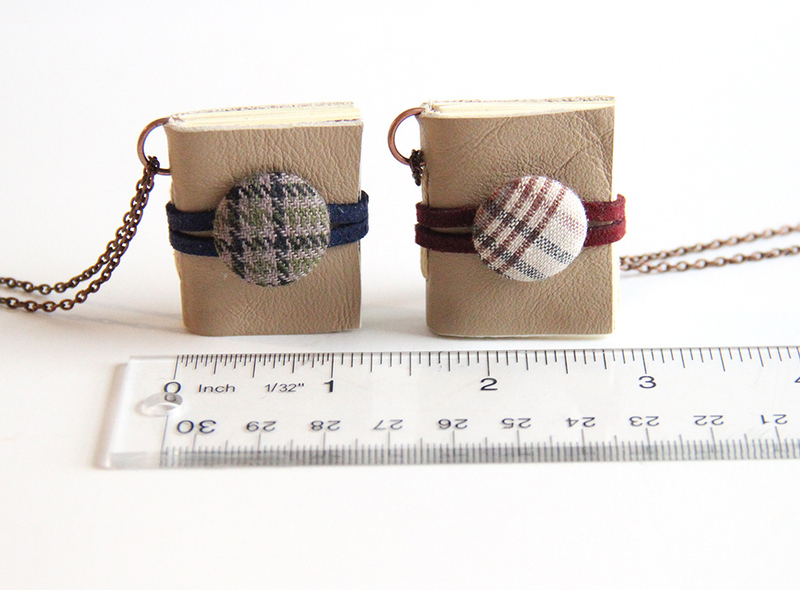 Tie wrap, open, or long chain options available. 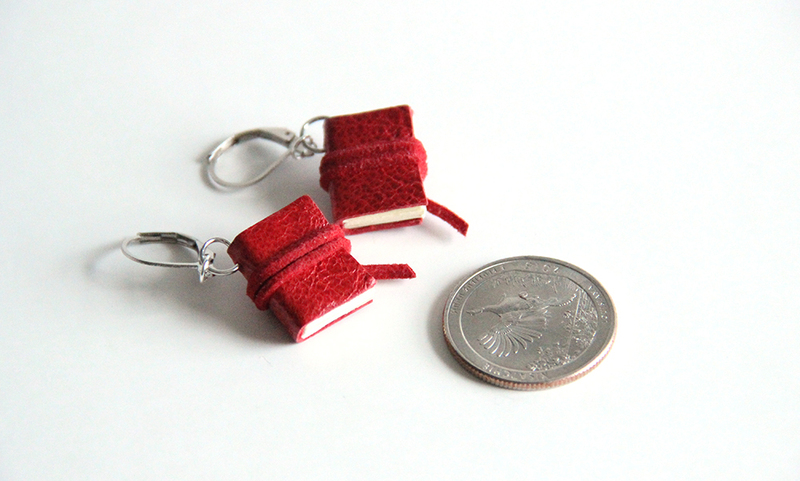 Miniature book jewelry sets, custom colors, stacked book necklaces, and book pins also available.